What a privilege! 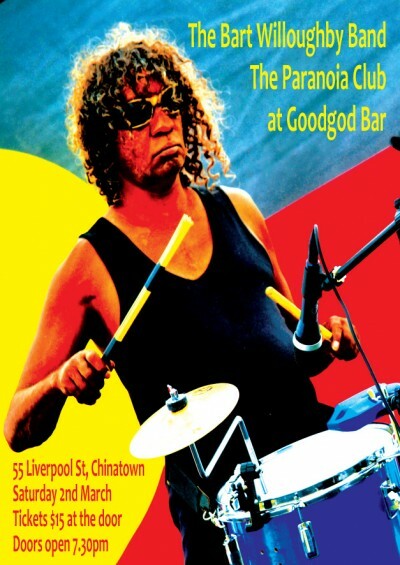 The inimitable Aboriginal reggae pioneer, Bart Willoughby, who penned the anthems, We Have Survived and Black Man’s Rights is making a return to Goodgod. The new album Proud with his latest incarnation, The Bart Willoughby Band, works beyond rock and reggae towards an intriguing Kurdish /Aboriginal fusion of two ancient cultures with chants in language. The band features Selwyn Burns (of Coloured Stone), percussionist Airi Ingram and Natjic Possum Burns.